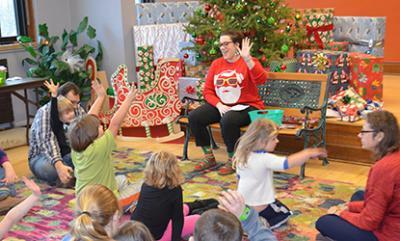 The Glencoe Library hosted its annual elf workshop Saturday morning for kids and their parents. Children were encouraged to bring a gift to wrap for another child in need. Children’s librarian Gabby Fountain shows children how to make their own, unique Santa Claus.